King Frosch founder Klaus Bellinghausen is featured in an article in the California Business Journal. Almost 20 years ago, Klaus Bellinghausen decided to bring his favorite German wines directly to wine lovers in the U.S. Working with family-owned vineyards in the world’s premier wine-growing areas, he developed standards for all natural King Frosch Wines. All King Frosch German-produced wines are crafted under Germany’s strict wine making laws, ensuring that there are no artificial colors or additives (apart from the required sulfites, which are much lower than used in other countries). In fact, King Frosch Wines are known by our customers as the “no-headache” wines. We have over 3,000 customers that purchase direct from us online and we are respected for our quality and consistency. Today King Frosch offers over 50 varietals. If you are looking for all natural wines, you need to learn about King Frosch Wines. Recently published in the California Business Journal, to read the full article on King Frosch All Natural Wines, click here. 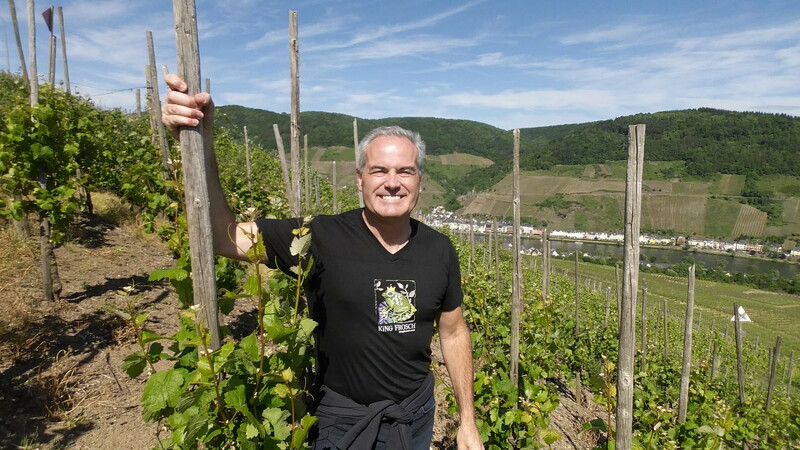 Learn more about King Frosch All Natural Wines and the story behind the company.